Pet accidents are a part of pet ownership. Whether you are training a new puppy or your have an older cat that has stop using the litter box urine in the carpet is a big problem, unless you have a plan to get urine out of carpet. As a carpet cleaner in Tampa FL my recommendation for getting pet urine out of carpet is below. The first line of defense is to be vigilant. Once your pet starts to pee in the carpet you will have to start looking for it on a regular basis. Getting to a fresh urine spot right away greatly increases you chances of success. I recommend using carbonated water at room temperature to remove the urine spot. Just pour it on the spot and wait 15 to 30 seconds and then blot it up with a towel. Be sure to blot it until very little moisture is transferring to the towel. Then take another dry towel, fold it in half and place it on the spot. Now, stand on it for a few minutes to remove the rest of the urine in the pad underneath the carpet. If the urine is wet then this is the best way to get pet urine out of carpet. If you are finding dried urine stains in your carpet then the problem has been magnified 100 times over. 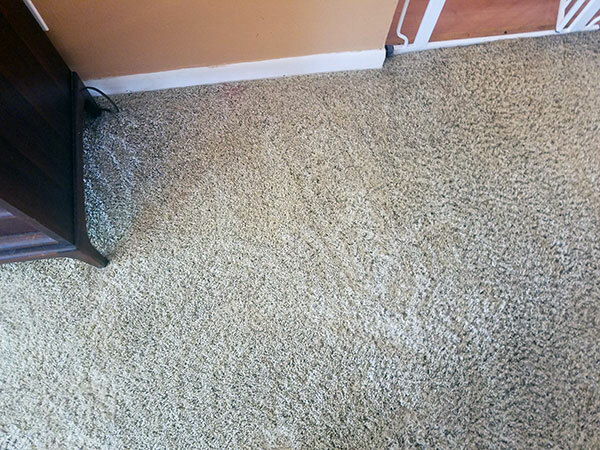 Once pet urine dries it damages the carpet and the fibers. You will need a specialized pet urine neutralizer to get it out. make sure to ditch the sprayer that comes with the pet urine neutralizer it wont help in getting the urine out of the carpet pad. Follow the same directions listed above for wet pet urine spots, using the urine neutralizer instead. 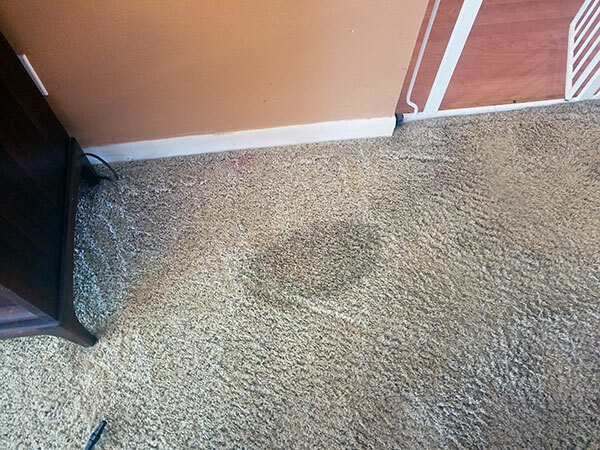 If the pet urine stains is still there it's time to bring in a professional carpet cleaner.